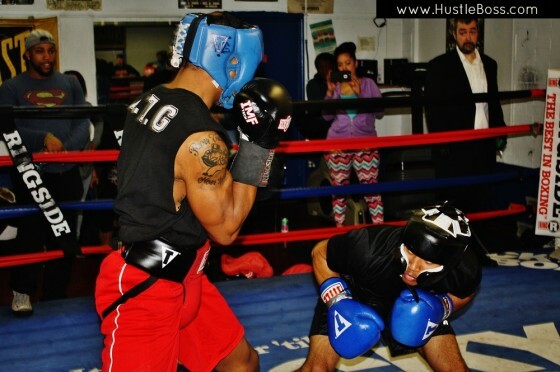 I made sure to stop by Johnny Tocco’s Ringside Gym this past Friday night, Jan. 6, to check out some of the action taking place between some of the area’s top amateur and professional prospects and I wasn’t disappointed. The exhibition sparring series has been taking place on the first Friday of every month inside of Tocco’s in Las Vegas, and it has given both the fighters a chance to shine as well as the spectators a glimpse of some key pieces to boxing’s future. There is a special synergy and connection that takes place between aspiring pugilists and trainers in the sport of boxing. Being a trainer in boxing requires a lot of patience and communication from the get-go, as the revolving cast of fighters they work with come with so many different levels of talent, experiences, history, and ability. It was great to step back inside of Johnny Tocco’s this past Friday, Feb. 5, for another installment of their First Friday Exhibition Series. The monthly showcase, which runs in conjunction with the city’s ongoing First Friday Celebrations, has brought out the best in some of the area’s top young prospects.